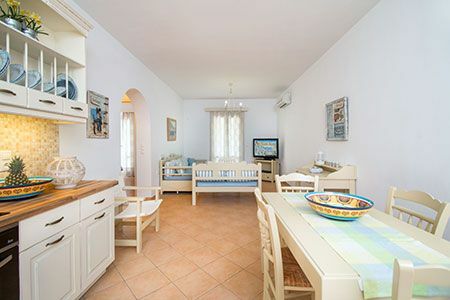 Welcome to 9 Muses apartments on Ariadne’s island, the beautiful Naxos. 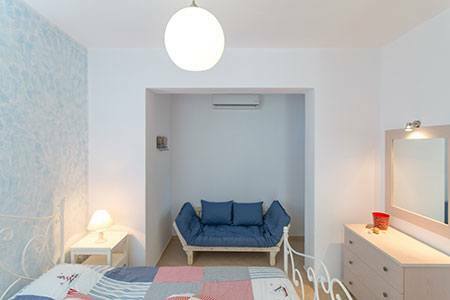 The 9 Muses Naxos group of apartments was built recently and fits in completely with the island’s traditional architecture. Care was also taken to ensure that the complex is in harmony with the environment and with life by the sea. 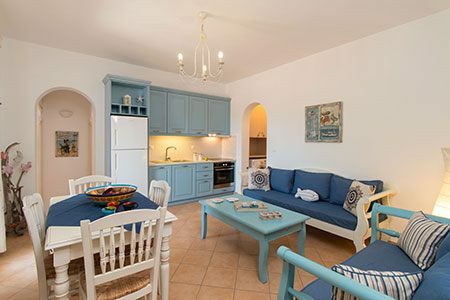 9 Muses Naxos offers its customers outstanding, first-class facilities and exceptionally attentive service. 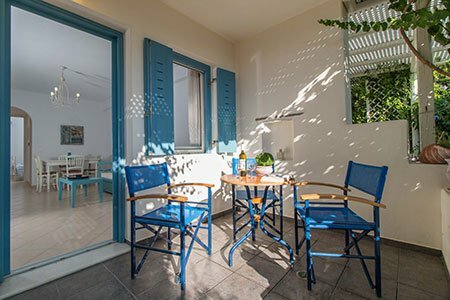 The apartments are the traditional Cycladic white which shines so beautifully in the Greek sun, and have traditional arches on the facades and comfortable verandas. 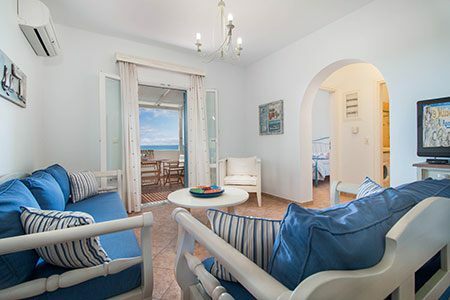 9 Muses Naxos is located right on Kastraki Beach, a picturesque beach with silky sand. Kastraki Beach is naturally beautiful, and, in attrition to swimming and sunbathing, it also offers lots of other activities such as sports, activity centres, cafes, tavernas and quiet bars for a night time drink so that visitors of all ages, with or without family, are all bound to find something to enjoy. You will immediately be struck by the hospitable atmosphere when you arrive at your apartment. We have nine fully-equipped and spotless spacious apartments which will provide you with everything you need to feel at home. 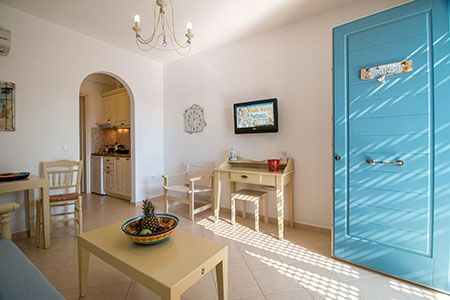 We are waiting to welcome you to 9 Muses Apartments, Naxos. 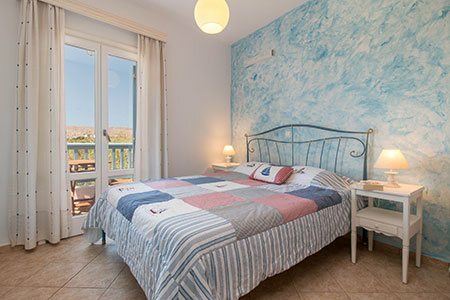 We are in Kastraki, which has one of the most beautiful beaches on the island, and is the perfect place for you to enjoy a truly unforgettable and exceptionally comfortable stay. 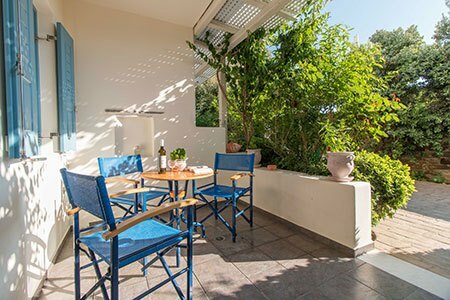 Naxos & 9 Muses – the holiday of your dreams! Naxos is the largest of the Cycladic islands, and it has endless beaches, fertile plains, wonderful historical sights, dozens of chapels and a great nightlife. Kastraki Beach is right in front of the 9 Muses Naxos Apartments. The sandy beach with its golden sand dunes stretches out into the distance, small rocks perch on the edge of the bay, and the enticing scent from the tamarisk trees spreads along the beach… the crystal blue waters of the Aegean Sea are ready to take you on a magical and relaxing trip.